Twenty-four hours after leaving the UK, I finally arrived in sunny Melbourne on Sunday. I’m excited to be starting my ESRC-funded Overseas Institutional Visit as Visiting Scholar at ACU, Melbourne on Monday. 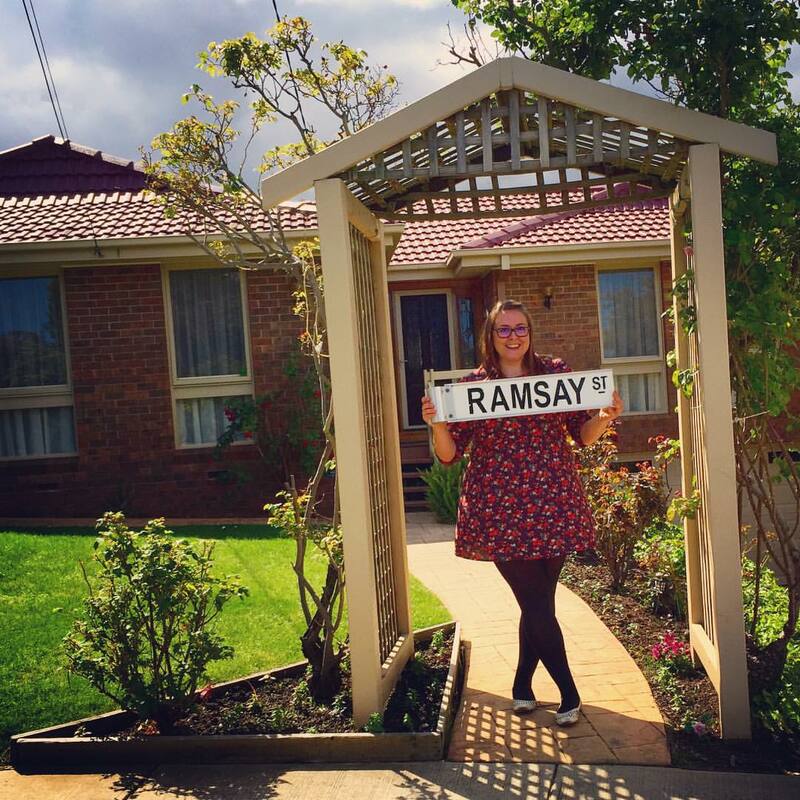 My downtime has, however, afforded me the opportunity to indulge in one of my own very earliest TV passions, with a visit to the Neighbours Studio and the hallowed ground of Ramsay Street itself (or Pin Oak Court for those sticklers for the truth out there)! Like me, Neighbours made its debut in 1985 and it has pretty much been present in my life ever since. I can trace my life’s events in correlation with the various comings and goings of the folk of Melbourne’s fictional suburban cul-de-sac: The daily five-thirty family sit-downs that began before I can remember. The red-faced horror of asking my parents ‘those questions’ when Malcolm and Danni finally went ‘all the way’. My relief in discovering that my university roommate owned a television set, so I’d be there to see if Libby would ever learn to love again (after losing her husband in a horse-related tragedy). The trip made me reflect on the almost unprecedented success of Neighbours as a British import. Our enthusiastic tour guide, Gerry, went so far as to speculate that Neighbours might not have survived without Channel Five’s reported £300 million rights deal. Admittedly, the majority of Aussies I’ve shared my Neighbours passion with have regarded me with wide-eyed bemusement. Meanwhile, Gerry was certain that Brits had swarmed to Neighbours to escape the British weather and because Ramsay Street was probably home to the ‘greatest number of hotties per capita’ of any street in the world. 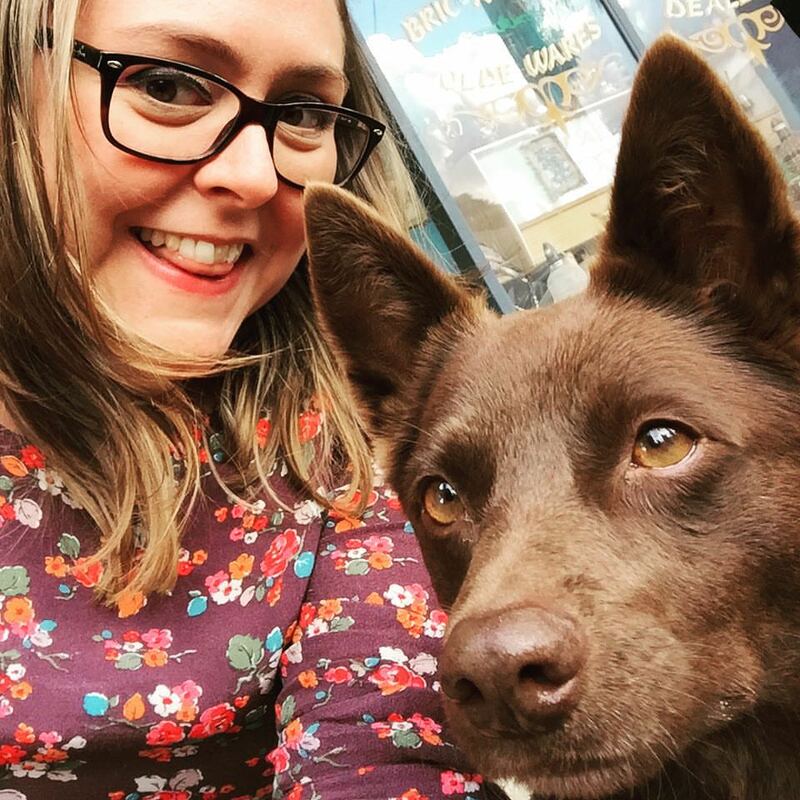 Amid taking multiple selfies with Bossy the Dog, I wondered where this British obsession (and my own attachment to Neighbours) might fit within the wider debate on the need for young people to see themselves and their own communities represented on television. Certainly Neighbours appealed to viewers in terms of pure escapism and the ‘sun’s-always-out-pool-in-every-backyard’ gloss was unreflective of my own childhood. But I had also seen myself and my family’s various tensions, arguments and celebrations in the soap’s drama. Perhaps there is an argument that Neighbours’ genuinely multi-generational approach spoke to an (admittedly heightened and sugar-coated) truth of everyday family life that filled a gap in programming during my own childhood. Somewhere between the age-inappropriate gritty drama of Eastenders and the parent-alienating teenage angst of Grange Hill, Neighbours offered a somewhat universal vision of family and community life that children, young people and adults alike could easily relate to.